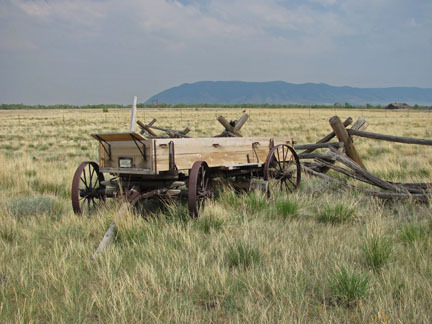 Celebrating the ranching, mining, and railroad history of our area means that some of the items in our collection are pretty big. We don’t have space on the grounds for a building large enough to hold everything, and we’re fortunate that our dry Wyoming air doesn’t rust equipment quickly. Many of these large things are outside. 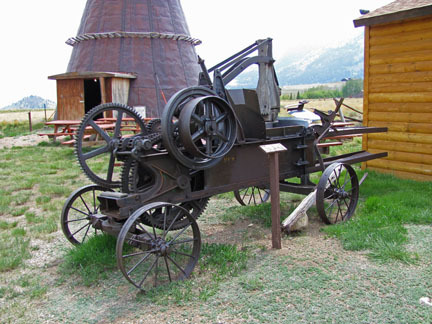 This hay baler sits in front of the carriage house. This replica wagon sits in to the east of the barn.